Polka dots are so much fun to wear. It’s a very lovely print! and very versatile. In my teenage years, I remember that designer Carolina Herrera used to create a lot of polka dot garments and she used to paired them with yellow most of the time. 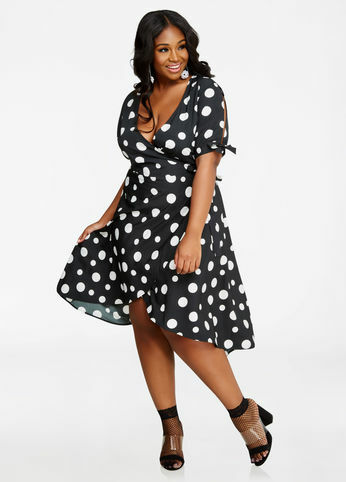 Every time I see polka dots, I think of her designs. It is stuck on my mind just like when I see red, I think of Valentino, when I see polka dots, I think of Carolina Herrera. 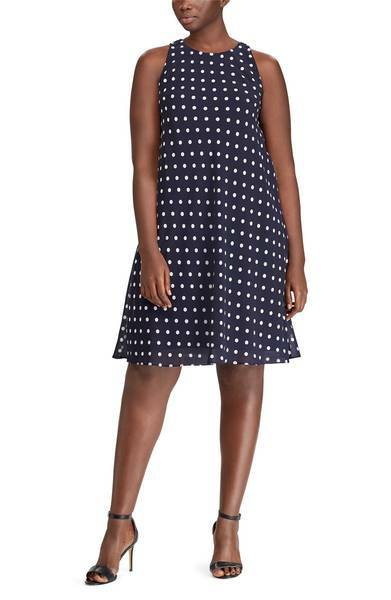 You can wear polka dots with any color really and to any occasion. From the office, to a dinner date or even for a wedding reception. 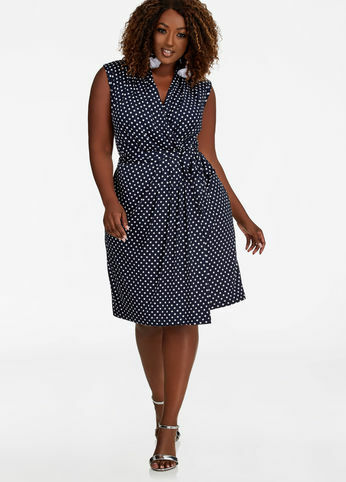 Most recently, polka dots are being associated with retro looks such as the Pin Up look from the 1940’s and 1950’s. 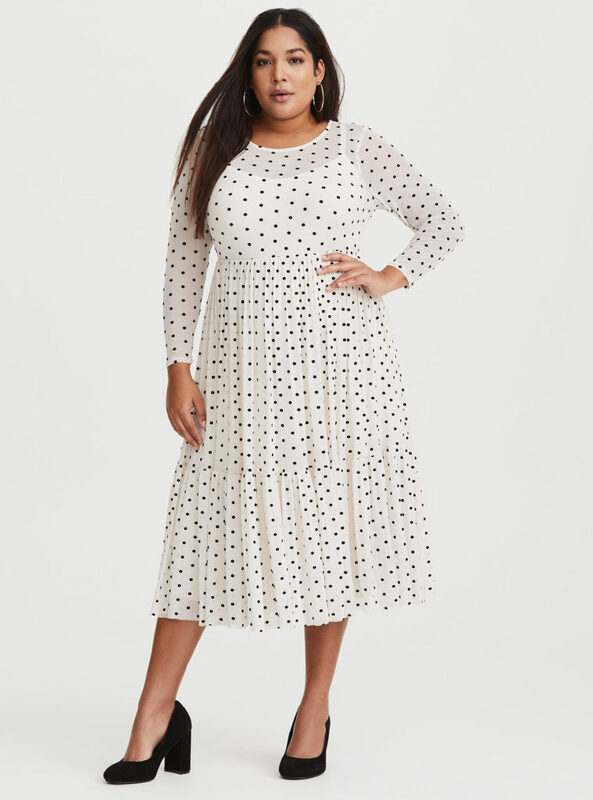 I think it is because polka dots are timeless, romantic and very feminine. What do you guys think? 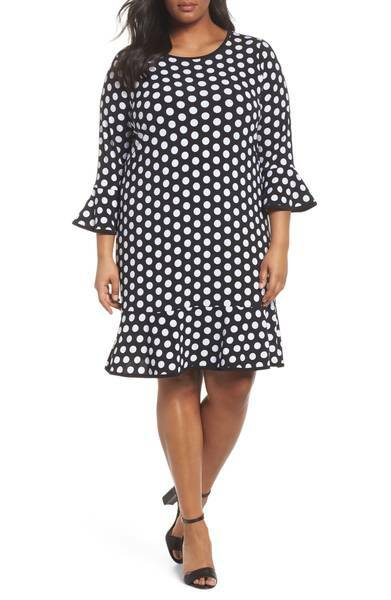 Check out my round up of 10 playful plus size polka dot dresses below and have fun shopping!